You've seen some amazing outfits on this tour and lets just say there are some incredibly blessed dates out there, right?! But I am here for all of you who would prefer something cute, casual, and comfy. 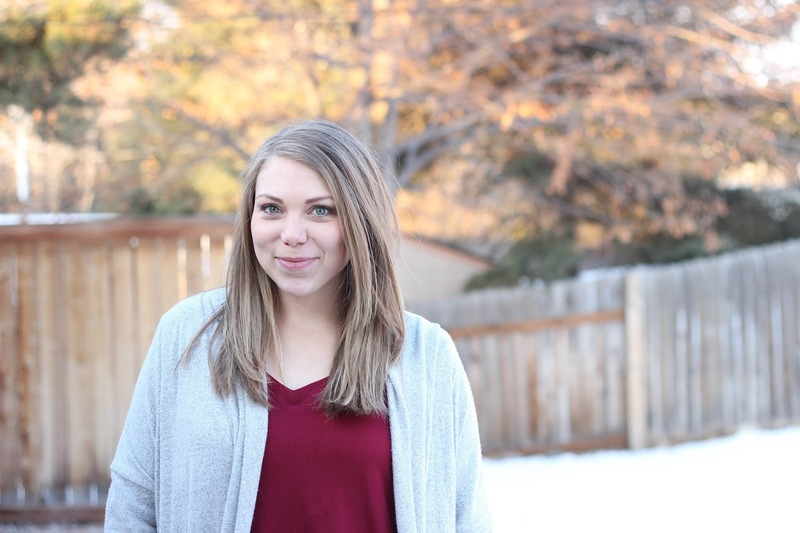 Don't get me wrong, I love to dress up, but when my husband says he prefers me in jeans and a tee (we met at 14 and I think he might always love that version of me best- haha!) who am I to argue? So I knew what he'd want me in, but I had to add my touch of fun and flare to it, and thought that the Cocoon Cardi would be perfect to throw over Mama Ava. Those may not seem very flare-y, but trust me, they fit my bill just perfectly. 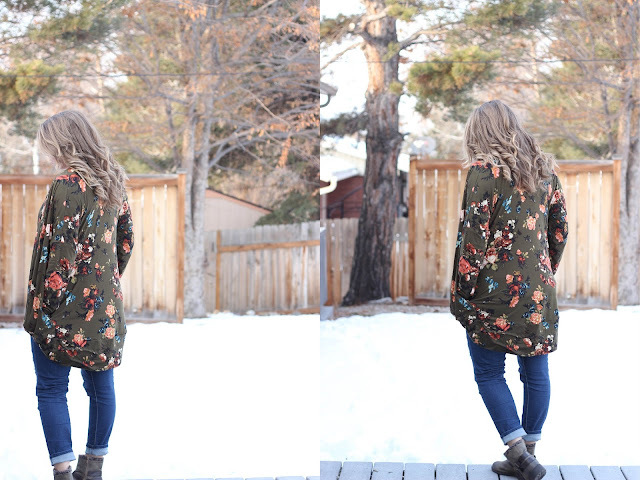 I made the floral cardi first and never wanted to take it off ever, so I quickly sewed up the grey one. The floral is brushed poly and the grey is sweater knit - both from So Sew English. The fit of the brushed poly is spot on, but the sweater knit is thin and drapey so I probably could have slimmed and shortened my sleeves. 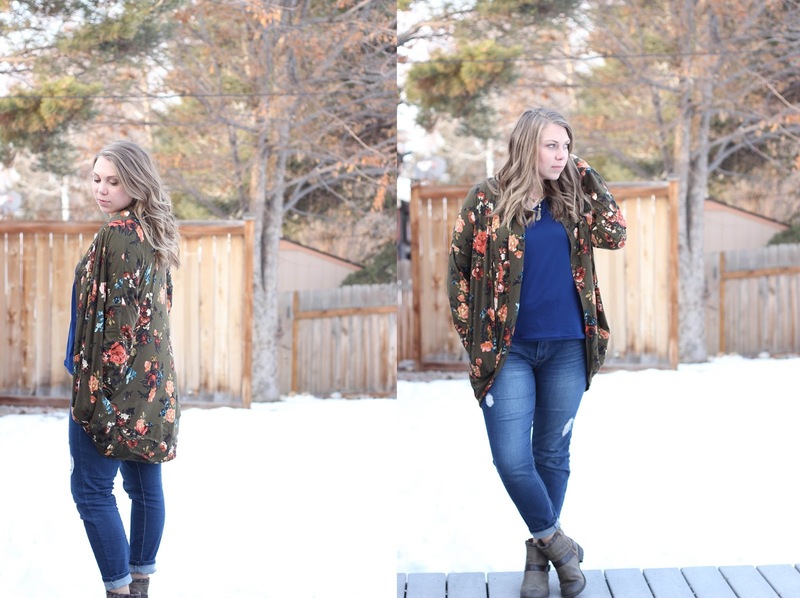 You can dress these up over a pencil skirt, wear with leggings and boots, your favorite skinnies and a lace top - so many options! And bonus, you look great but feel like your wrapped in your favorite blankey. Kind of a necessity since we are still buried in snow around these parts. Plus our Love Day Date is just to Cheesecake Factory and Dr Strange. I chose the restaurant and he chose the movie...obviously. And I happen to be one those crazy capsule people so everything I wear needs to go with lots of other things, be able to be thrown on with jeans and my vans, and be mostly kid proof. I have a two year old and a 4 month old so basically laundry piles are always huge and getting out is rare. So Ava is the the perfect fit! Make it in a solid, floral, with lace sleeves, long, short, whatever, the options are endless and the comfort is eternal. Mine are both made from Brushed Poly from Raspberry Creek Fabrics. 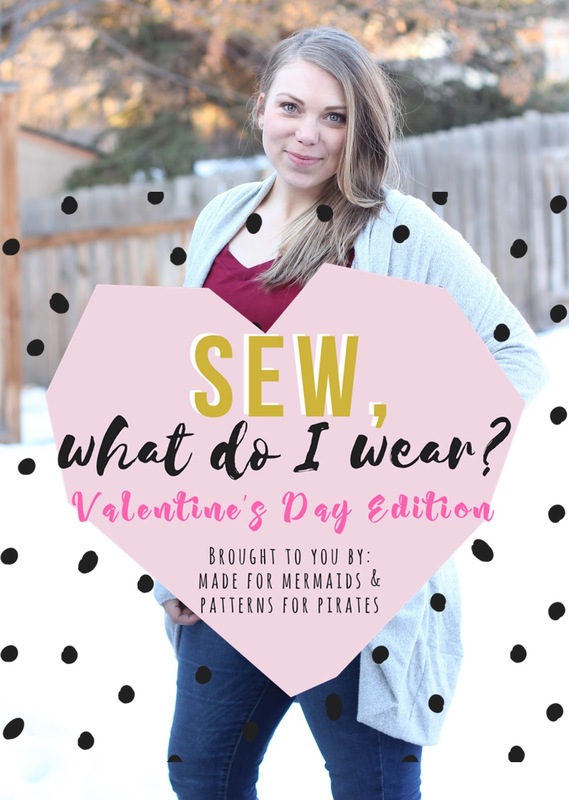 Bonus, my outfits can be worn anytime, anywhere, including Valentines Day! The blue Ava is made at shirt length but I curved the back hem a bit longer. The burgundy Ava is is tunic length with a curved hem, both are the v-neck option but there a scoop if your prefer. 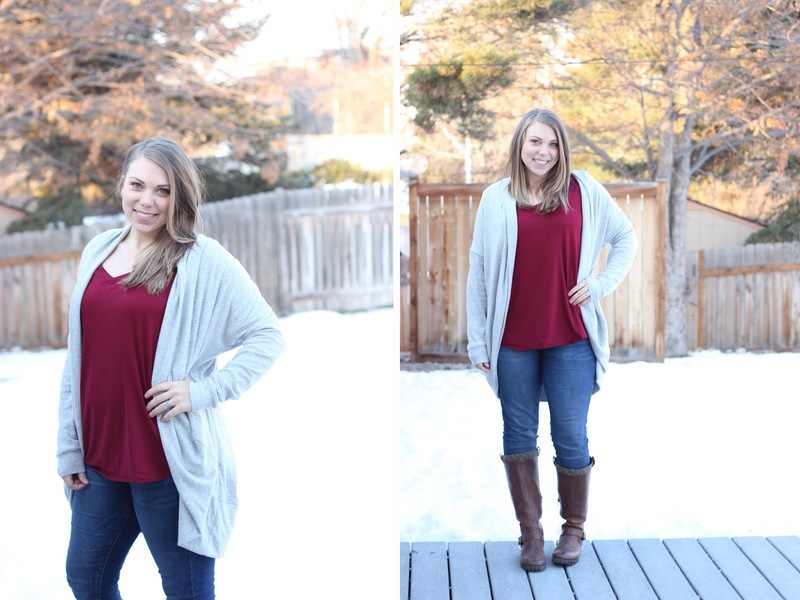 Both Cocoon Cardis are made in tunic length with the long band for the extra cozy feel, but you can also make it with short band for a completely different look and it comes in a cropped view, too! 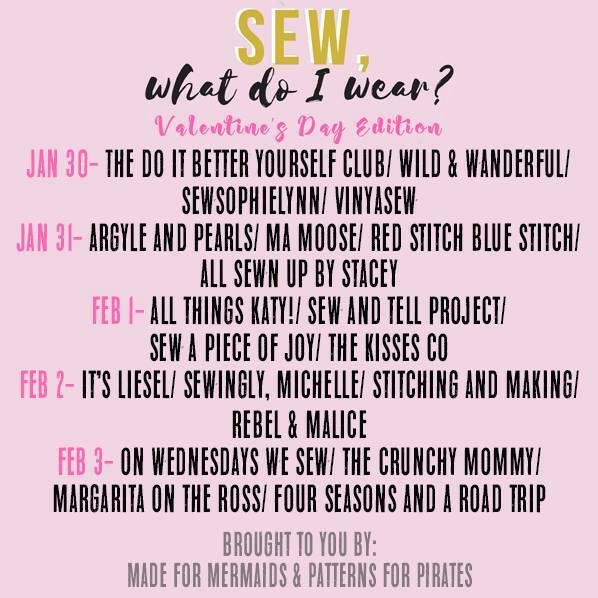 So whether your Valentines is a fancy night out with that special someone, a fabulous girls retreat, a nice night in with netflix and your favorite ice cream, or a casual outing with you number 1, you'll find something to fit the bill from Patterns for Pirates and Made for Mermaids. Did you see the rest of the tour? Make sure to check them out and see what everyone else is wearing! Cute! I saw a Mama Ava yesterday and thought I should maybe re-visit that pattern. I haven't made one since it first came out. Now, 2 more that look just gorgeous and Ava is definitely calling my name. 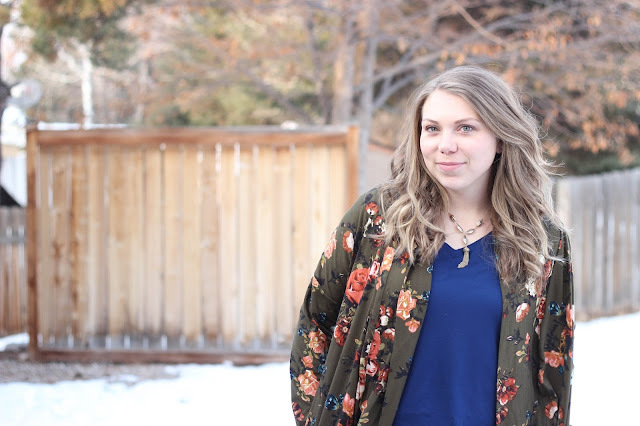 Love that gorgeous floral and the royal blue you paired it with makes it pop! I really really love it. If I make my size it's a true completely relaxed fit and if I size down a size or two it totally changes to a more basic tee or even fitted. Very versatile! I didn't realize how long the cardis were. They're so cute! I love the color combo of the blue/floral. I'm super casual too. Just got the cocoon and can't wait to make some up!